Andrea Montagnese began his piano studies when he was 5 years of age in Victoria with Italian composer Bruno Bernardi we he learnt the theory side of music. Andrea later went on to complete all of the AMEB examinations with long term teacher Chris O’leary. Moving to Sydney in the very late 90s and early 2000s he continued his piano studies and achieved the AmusA associate diploma in classical piano. He then went on to study at the Australian Institute of Music where he graduated in 2008 with a Bachelor of Music in classical piano under the guidance of concert pianist Illya Zozulya who taught him the European way of piano playing. While studying with Illya he also taught him technique, respect for the art, soul, memory skills and above all, concentration. Andrea has also entered many Estedfods and piano competitions in Australia. One of his greatest experiences was when he studied in Italy with piano teacher Maestro Lo Porto where he further expanded his expertise in piano playing and teaching. Recently, Andrea was invited to sit in a piano Masterclass given by renowned pianist Lang Lang. Above all, Andrea is also a composer as well as a pianist. Andrea currently teaches students of all ages from very beginners to A-Mus, L-Mus and B-Mus levels. 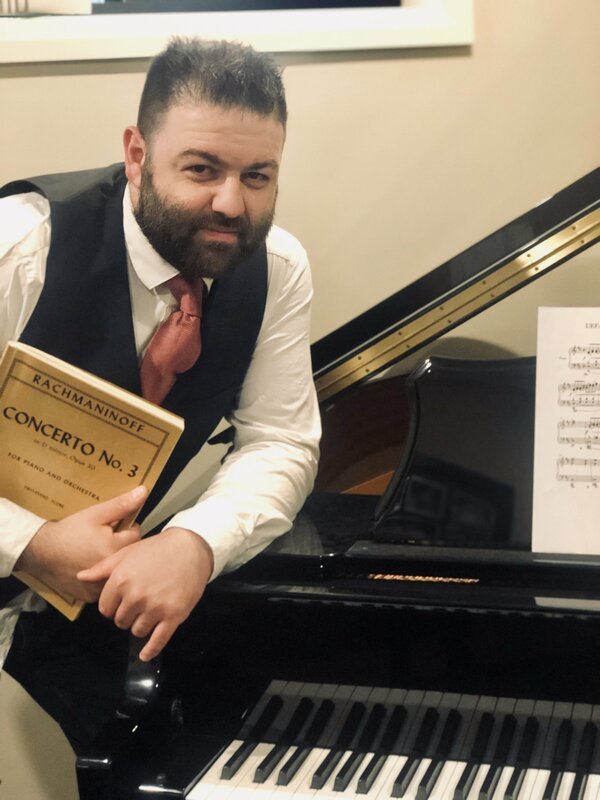 He is available for lessons in the comfort of your home around Campelltown, Sydney Inner West, Parramatta, Liverpool or at his own studio in Spring Farm where he teaches on the professional grand piano.